Do you want to increase control over your dreams? The idea is that additional control over your dreams can reduce your nightmares and other symptoms of anxiety and post-traumatic stress disorder by confronting dream monsters and other threats, or by changing them into something neutral or desirable, or by changing the scene in the dream altogether. In addition, the common thinking is that lucid dreaming is a way for you to increase your confidence and waking life skills through skull practice in a death-proof environment. If you have stage fright, for instance, practicing in dreams while knowing that you are dreaming can extinguish fear of the judgment of others. There is little doubt that you can learn to control your dreams and thereby reduce your anxiety, not only while dreaming, but while you are awake. There have been plenty of studies now that verify these abilities. As you can find elsewhere on DreamYoga.Com, many talented people have developed excellent strategies that are concrete and effective tools for developing such competencies. IDL supports your exploration of these methods to increase your awareness of your dreams, your enjoyment of them, and their usefulness for your waking life. There is another, more basic question that few ask: Do you need to increase control over your dreams? There are reasons to approach extending waking control into the dream state with both caution and skepticism. It assumes that your waking self will structure dream reality in ways that are superior to the ways that it is already structured. This may indeed sometimes be the case. 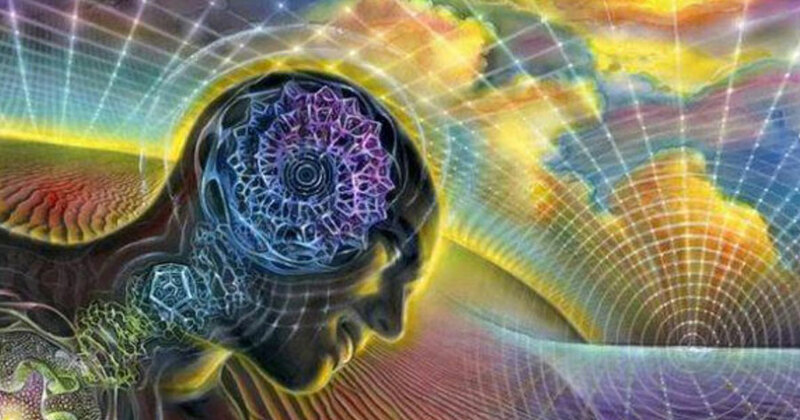 However, a further underlying assumption beneath such approaches to lucid dreaming is that dream reality is not already structured in ways that are superior to your waking life. Is that true? How do you know that? On the basis of what do you arrive at that conclusion? Most people would respond that it is self-evident – that they sometimes become confused, out of control, or anxious in dreams, and that these are not desirable states and are to be avoided. This assumes that happiness, well-being, and growth are predicated on more control, less anxiety, and less confusion. Therefore, anxiety, confusion, and being out of control are states to avoid and lucid dreaming, as a talent that allows you to do so, is a good and helpful thing. But is the problem with nightmares and dreaming a lack of conscious control within them? Do such dreams cause you to feel anxious and confused? These are assumptions that people often make and then project onto their dreams. If you do so, the result may be that you will see dreams and dreaming as a source of feelings of confusion, anxiety, and being out of control. Is that true? Could those feelings have little to do with your dreams at all? If you are falling in a dream don’t you get to choose whether to be scared or to enjoy the experience? If you feel confused in a dream, don’t you get to choose how you will respond? Don’t you get to choose whether to stay confused or to ask questions for clarification? If you don’t ask such questions, is that about the dream or is it about you? Is the dream state intrinsically confusing, irrational, and primitive, or are these assumptions that you bring to your dreams and project onto them? The basic problem is that when you assume your dream is the source of your confusion or fear you give your power away. You become a victim and the dream a persecutor. You then need lucid dreaming to rescue you. So you learn lucid dreaming – and remain stuck in the Drama Triangle. Why? Because the problem never was with the dream; it was always with your perception of your dream and dreaming in general. Similarly, is the dream state intrinsically clear, rational, spiritual, and transpersonal, or are these assumptions that you bring to dreaming and project onto that state? The first set of assumptions discount the value of dreams; they assume dreaming is inferior to your waking state of mind and that therefore you should learn to control and master your dreams. The second set of assumptions is “elevationistic,” which means that it assumes dreaming is superior to your waking state of mind and that therefore you should revere it, perhaps as real experiences in some other dimension. Both of these viewpoints distort dreams and dreaming, both while dreaming (thereby changing dream actions based on your waking assumptions about them) and later, when awake. This causes you to draw flawed, self-validating conclusions about your dreams and dreams in general. But in most IDL interviews with dream monsters they either say that their intention was not to threaten or they had to scare the person to get them to pay attention. However, most people respond to scary dreams by not listening, not paying attention, or trying to exert control in some way – defeat the monster, change it, or change the dream. If we create our dream monsters, then aren’t they parts of ourself? If they are parts of ourselves, doesn’t that mean we should take them personally? No. When you take things personally you make them about you. You are jumping to conclusions. Waking up includes the realization that almost everything that people do or say, even directly to you, whether in real life or in a dream, is not about you; it’s about them. Waking up involves the realization that reality and life aren’t about you. What a dream character says or does is probably more about itself than about you. How do you find out? Well, you can always ask, can’t you? As you learn to suspend your assumptions about your dreams, as you stop assuming that they are either primitive or spiritual, irrational or trans-rational, you get out of your own way. You stop needing to control. You stop wanting to manipulate dreams. You stop needing to make them happy, productive, peaceful, enjoyable, or understandable. You see that all those desires are reflections of your own discomfort with yourself and have very little to do with the dream itself. As you learn to make this shift, you wake up, first through waking interviews of dreams, then through generalizing into your waking life, and finally in your dreams themselves. Waking IDL interviewing is generally enough for most nightmares to go away on their own, generally very quickly. Integral Deep Listening asks, “Why not suspend your assumptions and projections about dreams and dreaming and see what happens?” “Why not see what you can learn not from controling, and in effect colonizing. dreaming with all the assumptions you bring into the dream state, just because you are you, but instead learn to respect, listen, and ask questions, both afterward, while awake, with interviewing, and while dreaming? IDL assumes that nightmares, like everything else in dreams and in waking life, can best be approached as if they were wake-up calls. The proper response to a wake-up call is to listen to it in order to hear what it is telling you: Wake up! Nightmares are then no longer viewed as threatening intrusions or challenges to overcome, but as teaching opportunities you leverage for your growth to higher levels through listening and partnership. This approach to nightmares is laid out in a book I wrote several years ago, Ending Nightmares for Good. It has been published in Farsi (Iran). Right now, in early 2013, a gifted student and teacher of IDL who is also a cardiologist in Tehran, along with a psychologist at the University of Isfahan, are in the process of getting final approval for a study with ninety children to test this hypothesis. In the study, there will be two control groups; one group of fifteen boys and fifteen girls receives cognitive behavioral therapy, the other control group experiences traditional group therapy. These are the two most common interventions for post-traumatic stress disorder within the Department of Veterans Administration in the US. As you may imagine, the VA has an enormous problem with the very high percentage of veterans who have some degree of PTSD. The third, experimental group, learns how to do IDL interviewing of characters in their PTSD nightmares. Will we see far fewer symptoms of PTSD in the IDL group than we do in the other two control groups? Assuming that the project is funded, I will post the results in about a year. IDL encourages you to consider that you will wake up in your dreams gradually and normally as part of the human evolutionary process if you learn to approach dream characters and events as wake-up calls and interview them. By doing so you will soon recognize that the real issue is to learn to wake up out of your normal waking delusions that keep you from clarity and effectiveness, whether awake or dreaming. Therefore, instead of attempting to focus on gaining greater amounts of security and control, you will recognize that what you need is clarity – to get out of your own way – because your need for security and control is based on a fundamental misunderstanding of who you are and what you are here to do.